The correct answer is "none." It's not easy to tell that a swooping falcon kite is not the real thing. 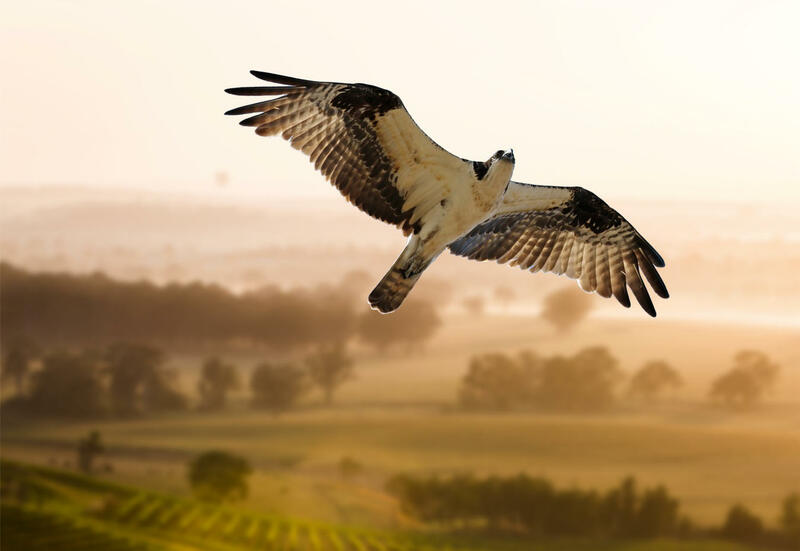 Falcons are a proven deterrent to the birds than can raid and damage ripening grapes. Now a North Bay innovator with a background in bird management is promoting a look-alike kite to do the same job. 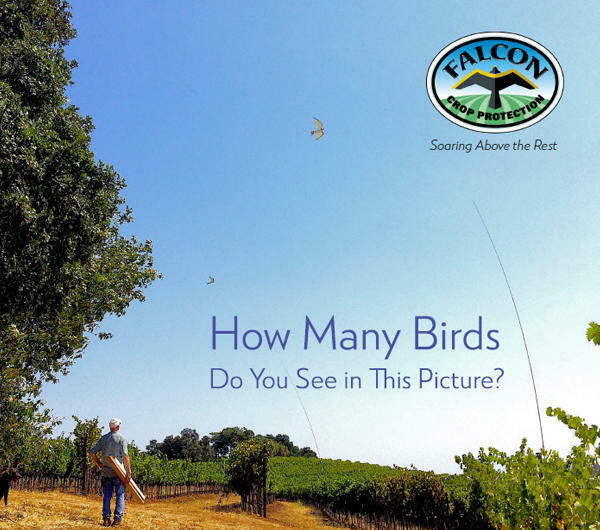 Roger Snow of Falcon Crop Management, the new company he has formed to promote the Falcon Fright Kites, believes they are a far more effective --and economical--deterrent than any of the commonly used alternatives that are currently available.